Great birthday present for all lead foot drivers. Staff were friendly, mostly efficient & easy to deal with. Pre-ride checkin was easy, don't forget to have your passport details as well as your driver's license. Bit disappointed that there was not a recording of the experience, not sure if we had to ask before hand but was not offered & we assumed it would just be a feature. Overall great ride. We went mid morning with minimal traffic. Follow in the tracks of Vettel, Alonso and Hamilton and make driving a Supercar a reality! 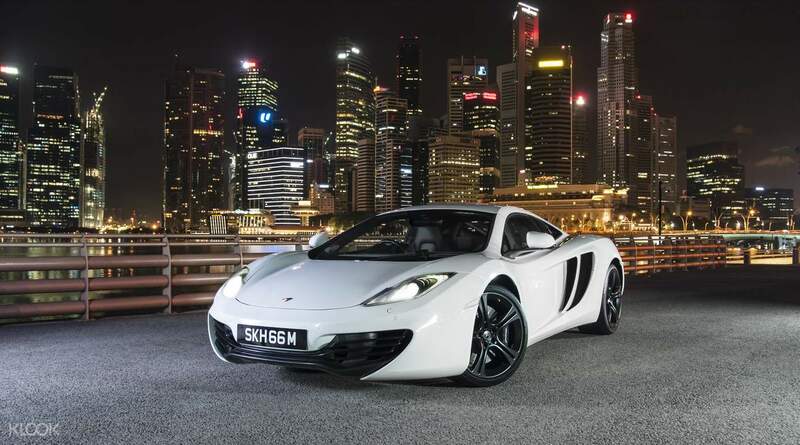 Take the wheel on the route used during the F1 night race in the Ferrari California, a Lamborghini Gallardo Spyder, a Mclaren MP4-12C, a Lamborghini Huracan or a Ferrari 458 Spider. Unleash power on the straights of the freeway, or simply cruise along the coastline with the wind in your hair. If you don't feel like driving, feel free to relax in the passenger seat and let one of the pros show you what these cars can do. An onboard dual HD camera captures the drive from inside the cockpit as well as from a street view, so petrolheads are given a memento of an experience that's sure to stay with them forever! Out of the world experience. They open at 9am but the first drive is only at 10.30am with the instructor. Arrive early and see if the instructor is willing to kick off the session earlier when there is no traffic on the road. It was exhilarating! Worth the price and unforgettable moment! Out of the world experience. They open at 9am but the first drive is only at 10.30am with the instructor. Arrive early and see if the instructor is willing to kick off the session earlier when there is no traffic on the road. It was exhilarating! Worth the price and unforgettable moment! Highly recommended activity. We rode the Ferrari and also drove the Lamborghini along the streets of Singapore. This is really worth your money. Highly recommended activity. We rode the Ferrari and also drove the Lamborghini along the streets of Singapore. This is really worth your money. Our family absolutely loved the experience. Every second was enjoyed. This was my father’s highlight in the trip. Thanks for making this easy and possible, Klook! Our family absolutely loved the experience. Every second was enjoyed. This was my father’s highlight in the trip. Thanks for making this easy and possible, Klook! Absolutely worth the money - I did the 15min session in a Lamborghini and that was enough time to get to grips with the car and get the most out of the experience. The F1 street circuit route is on public roads, but they're largely empty three-lane highways that don't really go anywhere (very light traffic at midday on a Tuesday), and there are chances to open up the throttle. Drove the 610bhp Huracan - put your foot down and it's like a bomb going off. The acceleration is like nothing else you'll experience. Staff were super helpful and friendly - overall a fantastic day. Would definitely book again. Absolutely worth the money - I did the 15min session in a Lamborghini and that was enough time to get to grips with the car and get the most out of the experience. The F1 street circuit route is on public roads, but they're largely empty three-lane highways that don't really go anywhere (very light traffic at midday on a Tuesday), and there are chances to open up the throttle. 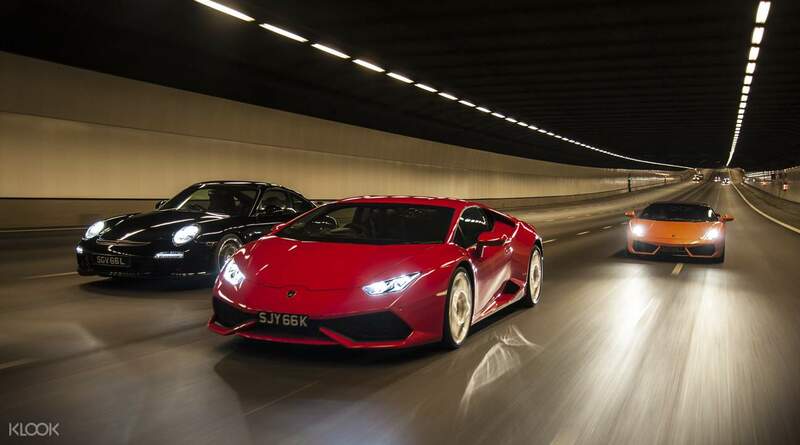 Drove the 610bhp Huracan - put your foot down and it's like a bomb going off. The acceleration is like nothing else you'll experience. Staff were super helpful and friendly - overall a fantastic day. Would definitely book again. A must try for car lovers like me, price is quite expensive though even for just a short time ride but its still worth it your gonna have fun driving and thrushing the ferrari in the streets of singapore. 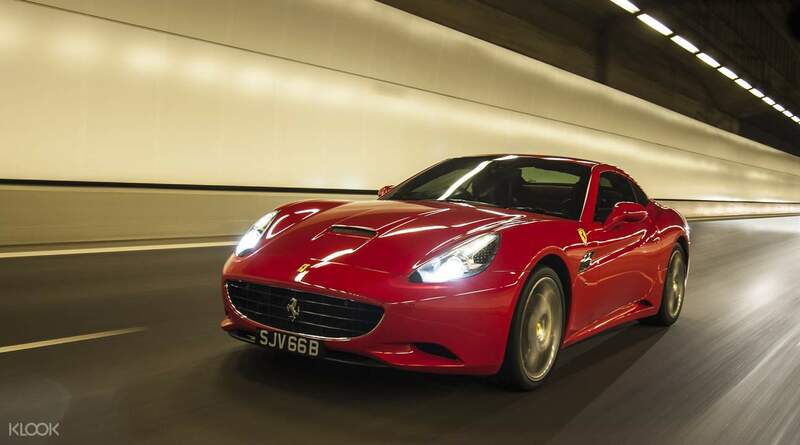 A must try for car lovers like me, price is quite expensive though even for just a short time ride but its still worth it your gonna have fun driving and thrushing the ferrari in the streets of singapore. The supercar ride was one of a kind. For the first time, I was able to pilot a Lamborghini Gallardo Spyder and take it out for a spin in beautiful Singapore with no speed limits. My navigator Suman was a great instructor and very friendly too. Definitely recommended! The supercar ride was one of a kind. 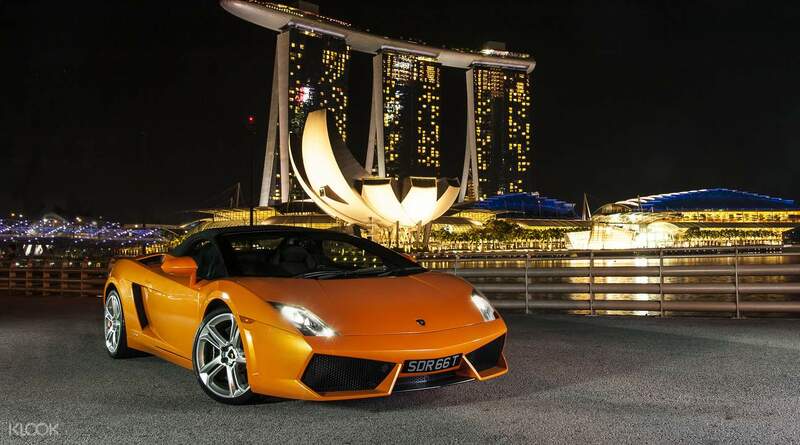 For the first time, I was able to pilot a Lamborghini Gallardo Spyder and take it out for a spin in beautiful Singapore with no speed limits. My navigator Suman was a great instructor and very friendly too. Definitely recommended! good deal from klook. do not need to print the voucher. fast reply from the customer service. absolutely cool way to explore the beautiful city. good vehicles, great experience, friendly staff and very convenient since i booked with klook. will definitely experience this during my next visit to singapore. will recommend all to use this app when booking. good deal from klook. do not need to print the voucher. fast reply from the customer service. absolutely cool way to explore the beautiful city. good vehicles, great experience, friendly staff and very convenient since i booked with klook. will definitely experience this during my next visit to singapore. will recommend all to use this app when booking. The price is very good and attractive! The only thing is this website should tell us the e-voucher will be delivered very soon after the purchase. Especially if we are buying the ticket the day before we use it. Overall, it was a good and enjoyable experience! The price is very good and attractive! The only thing is this website should tell us the e-voucher will be delivered very soon after the purchase. Especially if we are buying the ticket the day before we use it. Overall, it was a good and enjoyable experience! 30 minute Ferrari Drive and I loved it. I say choose your time as I went early on a Sunday morning which gave me traffic free roads. Not sure it would have been as much fun in traffic. Courteous professional staff sat beside me and highlighted the roads and what I could do. I would do it again just for a blast. I got back slightly early and he took me off round the block again to ensure I got the full ride. Also very accommodating on pictures and photos including letting my 10 year old daughter sit in for a photo. Definitely a great thing to do here in Singapore. 30 minute Ferrari Drive and I loved it. I say choose your time as I went early on a Sunday morning which gave me traffic free roads. Not sure it would have been as much fun in traffic. Courteous professional staff sat beside me and highlighted the roads and what I could do. I would do it again just for a blast. I got back slightly early and he took me off round the block again to ensure I got the full ride. Also very accommodating on pictures and photos including letting my 10 year old daughter sit in for a photo. Definitely a great thing to do here in Singapore. Q: Do I need an international driving license for this activity?